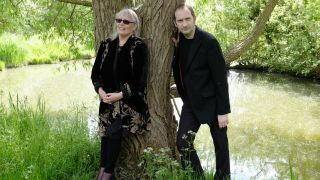 Original Fairport Convention singer Judy Dyble and songwriter and producer Andy Lewis have released a video for their new track He Said/I Said. Speaking about the track, Dyble says: “The story of the song is how I was persuaded back into making music again after 30 years and the dangers and the delights of saying ‘yes’ to an idea and seeing what happens. Summer Dancing is now available for pre-order, while the cover art and tracklist can be seen below.